Selena Salang began Slow Hello in 2008, as a side project to her current and former bands, Ang Bandang Shirley and Candyaudioline. In her solo effort, Salang’s knack for infectious songwriting is prominently revealed and her indie pop sensibilities shine through in melodic, guitar-driven pop songs reminiscent of Teenage Fanclub and True Love Always. In 2011, Salang worked with producer Allan Lumba (Multo, Third World Summer) and set initially pared-down tracks, "Minty Fresh" and "Cold Turkey," against deceptively cheery beats to produce two standout summer anthems. 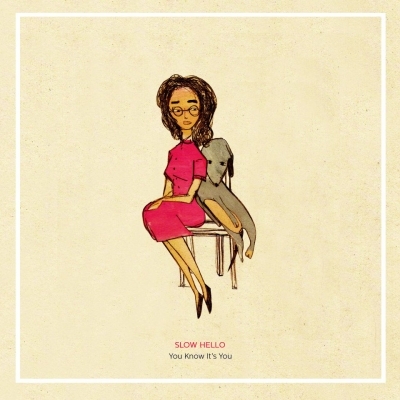 "Minty Fresh" was released as Slow Hello's Number Line Records debut. Slow Hello has since expanded to include Russ Davis on guitars, Marc Inting on bass, and Erwin Hilao on drums. Their full-length debut is due for release in 2013.